It’s a new year and there’s no better resolution to tackle than taking control of all the “stuff” in your home and organizing it! It just comes naturally to me to be an organized person. Yes, I was that annoying kid that cleaned up the wrapping paper at my own birthday party because I couldn’t handle the mess. Part of the reason why I love styling, as it requires a lot of keeping things in systems and organization. 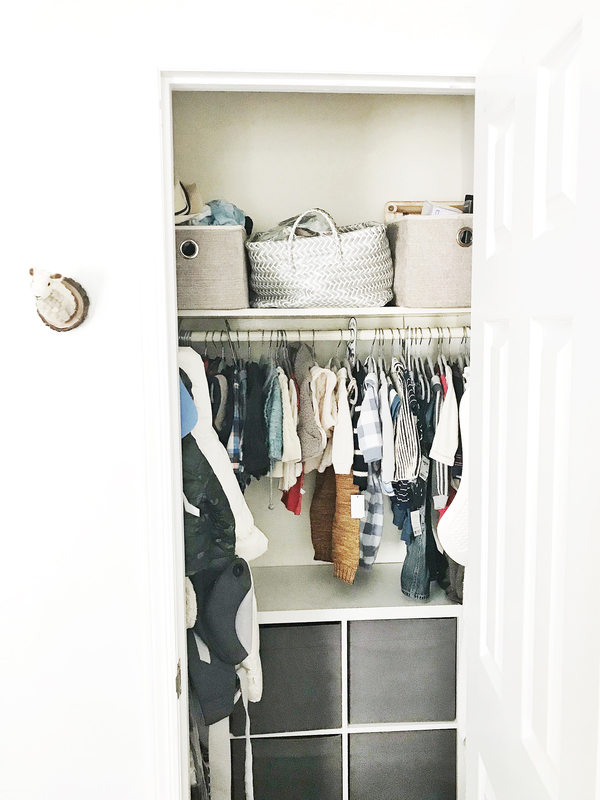 Don’t get me wrong, organizing my home is always a work in progress and I still am ashamed (but not really) to have a few junk drawers that will always be junk drawers. I find it extremely difficult to live in minimalism, so that’s just not an option for me. I’m incredibly sentimental, acquiring objects from loved ones and my travels. I like my home to feel cozy, lived in and surrounded by objects I love and have collected over the years. I also am prepared for anything as a stylist and mom, so I acquire A LOT. 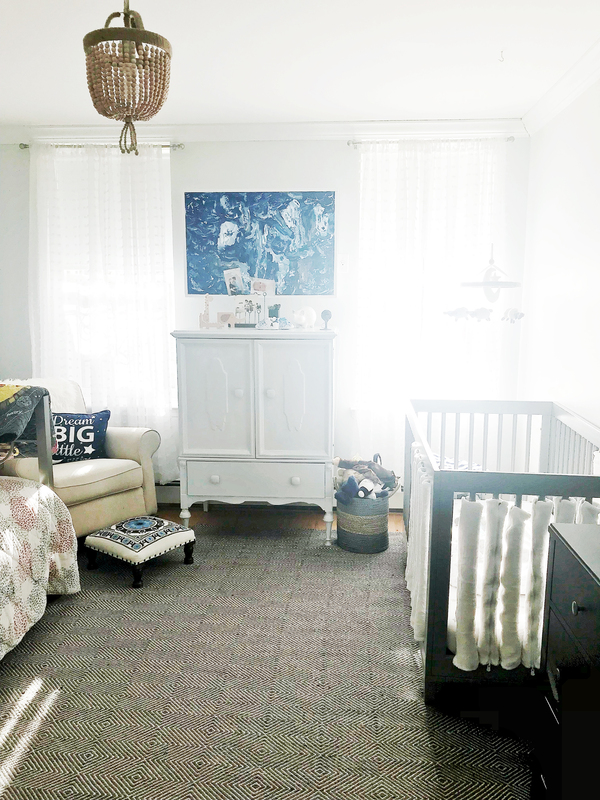 Organization is a challenge for my husband, who used to file his taxes in his sock drawer, and it’s even harder for us to stay organized while you’re chasing after a baby all day. We also have accumulated so much in the 12 years we’ve been together and it’s just getting worse with all the items that come with an infant. In fact my home teeters between a zoo and a children’s store some days, with baby stuff everywhere. In effort to start this year off with a refresh in our apartment, I decided to spend much of our holiday break getting our life back in order and even improving our systems. While it’s not perfect (what mom is?!) or as meticulous as Marie Kondo, who believes you should do your organizing all at once—and also believes you should dry your dishes on your fire escape instead of a drying rack—I’ve been realistic. I can only do a little at a time in my life, but these little changes make a huge difference. That’s why I made a checklist for you, so you can check as you go and not feel overwhelmed with tackling it all at once. Every item should have a home and if there’s not enough room in that home, it forces you to evaluate what you really need. As you have systems that work, you’re more likely to be able to discard/donate items that you no longer want in your life. Once you get to that point, you should focus on quality and items that make you happy rather than that item you bought just because it was on sale or good enough for now. 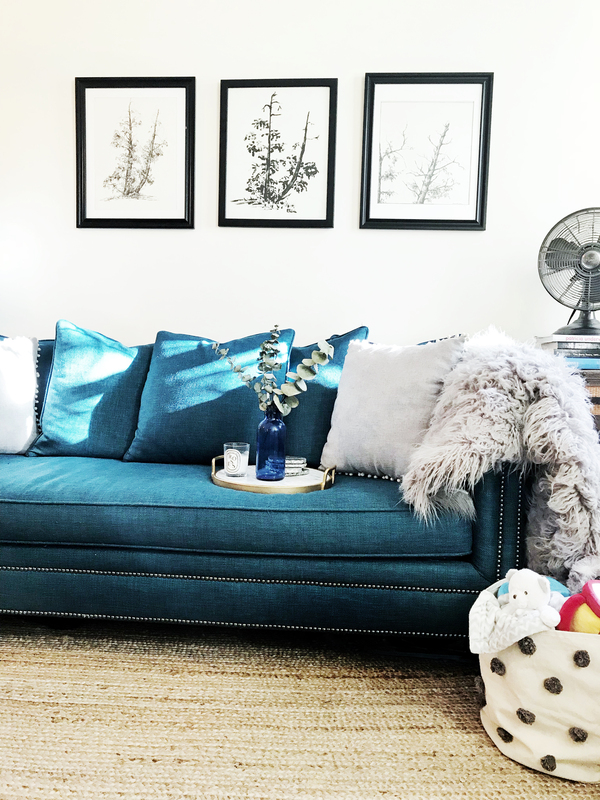 Here’s a checklist of organization tips that worked for me if you want to try a little at a time to get your year off to a fresh, organized start. Print my tips below and try out a little this weekend and maybe one thing every night for a while. You got this! Remove anything not worn in a year. If you have the space store it and come back to it next year, otherwise if it’s not something that makes you feel amazing when you’re wearing it, move on. Sell it on sites like Poshmark (use invite code “LIZTEICH”) so it will make you feel less guilty about parting with it. If you don’t have time to sell your clothes, try thredUP, where you can send it all in to be sold on consignment (the payout is much less, but time is money!). Get clear storage bins for your out of season, items for consignment or clothes for special occasions. 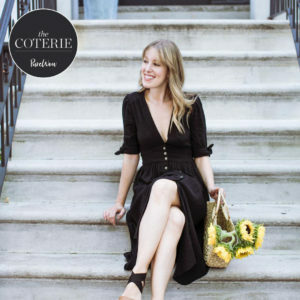 (I did this for my favorite maternity clothes and baby clothes that are outgrown, because I didn’t want to part with it all just yet, especially if I decide go through this all again). If it’s something that’s too big or doesn’t fit anymore, make a pile to bring to the tailor. You’d be surprised that a little dart or hem could make a major difference. Any shoes that are damaged or have worn soles, bring to shoe repair or toss. Use all of the same hangers, preferably these felt hangers, which will save space and prevent garments from slipping. When everything is lined up nicely, it’s easier to see what you have. Remove any wire hangers / dry cleaning materials from your closet. Get in the habit of switching it all to your hangers before they even return to your closet. You can also ask your dry cleaner to consolidate their packing when you drop off so you don’t have as much waste! *STYLIST TIP* If you don’t have the budget to invest in felt hangers, keep your garments from slipping off by wrapping rubber bands around each end of your hangers. Always button at least the top button of your shirts to avoid the garment slipping off and the collar being crunched. Put away your clothes according to categories (ie, long sleeve together, jeans separated from dress pants, etc.) and hang facing the same way. Organize your clothes, especially your sweaters, by color so it’s easy to pull out what you’re looking for and is more aesthetically pleasing. Fold your clothes in thirds, and then place them face up in drawers aka the KonMari method, so they stand up and you can see every item in your drawer. Replace old underwear and bras that doesn’t make you feel great / comfortable when you put it on, especially if it has holes or is worn out. Put everything you wear away in its place as you go each night, that way you won’t have the dreaded clean up day. Beautify your closet itself. Add pretty hooks and even a rug. It will make you happier when you get dressed in the morning. Replace old bedding and pillows that are stained, pilling or lost their stuffing. Invest in high quality bedding and a duvet / decorative pillows that make you happy. It’s where you spend 1/3 of your life, so make it count. Make your bed. Every. Day. It will make you feel better and more put together. Keep only the essentials on top of your night stand and if you can put away products, tissues or anything not pleasing to the eye in a drawer, that is ideal. Keep as little a possible on top of your dresser. Beauty products and jewelry should all have a home. If you must keep jewelry out, use dishes or boxes for the items you tend to wear daily. Use decorative boxes / bins to separate makeup, hair products, and hair tools. Throw away old makeup (all that icky bacteria on your face…do yourself a favor!). You can see below for when to toss. Get rid of any products that you haven’t used in a year. If unopened they can be donated to women’s and homeless shelters. Store your items in containers that are more pleasant than the packaging they come in: feminine products in makeup bags or toiletry kits and cotton balls / swabs in clear glass containers. Throw away towels that are old and stiff, floor mats that are beyond ratty and mildew-filled or gross shower curtain and replace with ones that make you happy. Go through your medicine cabinet and discard expired medicine and anything you won’t use (especially the antibiotics from 3 years ago). Throw away old food and put anything you forget you have and would like to use more often like nuts, beans, etc. in containers that are easy to see like these. Replace or donate anything that doesn’t make you happy or doesn’t get used often. It’s amazing what a great set of drinking glasses can do to your mood. We just replaced our old mismatched drinkware with these and we get giddy every time we reach for a glass. This may sound obvious, but it helped me when I re-organized my cabinets. Take everything out and put the items you use the most in front and the rest behind. Duh? Right? Empty out your produce bins. Clean them out and then put fresh paper towels on the bottom, that way it’s less daunting to clean them often. Divide your junk drawer into compartments with bins/boxes so pens are in one catchall and other items like batteries are in another. If you don’t use it every day, store it! Obviously the coffee maker stays on your counter, but your Nutribullet can probably go in your cabinet. If it’s something that you only use once in a while like your pasta maker, store it in a basement or elsewhere to free up cabinet space. Go through your spices, teas, and coffees: consolidate what you have and use canisters or other containers that make it easy to see. Use sizing separators in the closet so you can see what currently fits and what is to come. Get rid of or store items that no longer fit frequently that way it doesn’t become a chore to do all at once. Bins and baskets are the best way to put away toys and other baby/kid items. 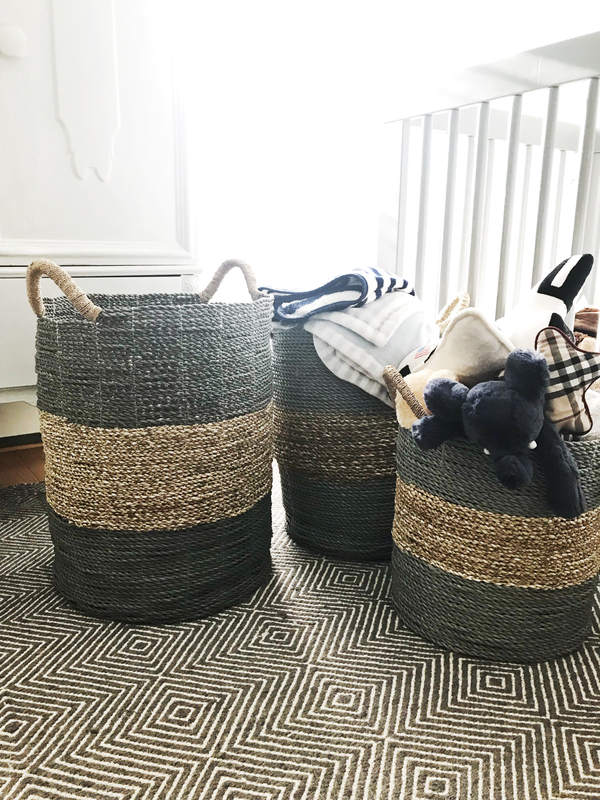 I use sturdy baskets for dirty clothes, blankets and plush toys, and then soft woven / canvas ones for other toys that are frequently used by my little one, especially a decorative woven basket we use in the living room. We installed this unit into the closet and use baskets within it. File diapers in a bin or drawer closest to the changing table. When things are out of their packaging, it makes it easier to grab and will make you happier when you need to grab it. Use small boxes, even an shoebox will do, to separate socks and other small items in a drawer with other items. Hang hooks on the sides of the closet or on the back of the door for easy hanging of coats, carriers, and even bath towels. Set the rule that once something is done being used / played with, store it in its rightful home. Hide wires from your tv with cord concealers. Give away / toss DVDs that you know you won’t use (especially if you’re streaming everything). Get rid of magazines older than 3 months unless it’s something that you’re saving for a reason. Pare down furniture and decide if you really need it all. We’ve been much happier since getting rid of our coffee table and just using this tray (pictured above) to give us more space. If you have no intention opening a book again, pass it along to someone who will. It’s amazing how much space you acquire when you finally part with old books. We donated some of our books to a school and it was easier to let go of them. Hang your TV on the wall and hide all other electronics. We hired someone on TaskRabbit to do that and it felt like it opened up a lot of space. Put as much away as possible when not in use. Common things people lewve out should put away everyday are remotes, house keys, wallets, mail, pet / baby toys, coats, bags, etc. Stick with it every time you’re not using them. This post is in no way sponsored. All words, imagery & thoughts are 100% my own. Don’t forget to stop by my Instagram page for more inspo and say hi! Love this post, Liz! Feeling pretty good since I’ve already gotten a few of your tips into action. But some new ones, even for this hyper organizer/purger. Thank you! Thanks MP! I’d love to see what you end up doing with these tips in your home. I bet it’s already beautiful like your style! These are great tips to start the New Year with a fresh start and a “cleaner”, more organized slate. We went through in December and began our de-clutter. I would still like to go through again. I love that you mention so many ways to do things eco-responsibly. Hope you have a great 2018! I really need to invest in felt hangers versus the dry cleaner’s wire hangers – ugh! Thank you for this list! I need to find time to do this, I have been putting it off and this list will help me get organized and clear out the clutter! I’m so happy to hear that I could inspire. Can’t wait to see what you do with it!